Why Tuck A Sweater Into A Skirt? 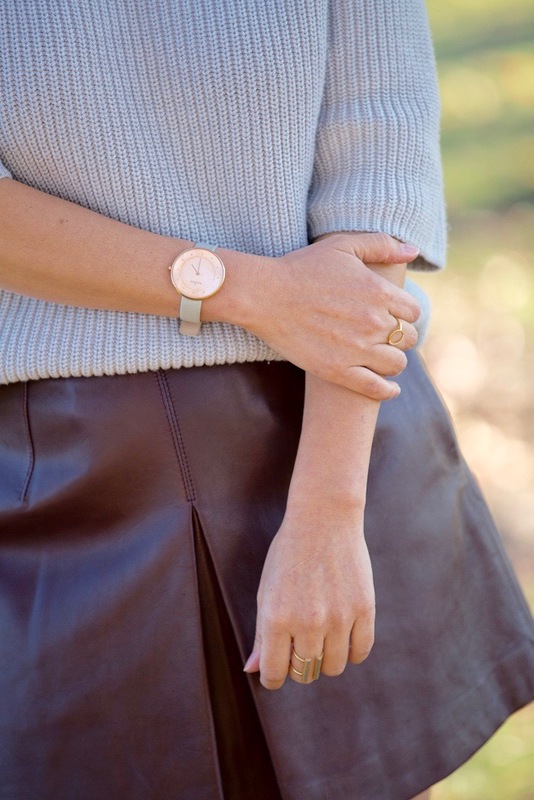 One of my absolute favorite winter looks is a thicker sweater tucked into a skirt, especially a leather skirt. This is one of the most stylish looks you could possibly wear in the winter — mostly because most people are not wearing this. Think of the last person you saw wearing a thicker sweater tucked into a skirt. It was probably me. Hopefully, the next person you see wearing a sweater tucked into a skirt is you. Before you can learn how to tuck a sweater into a skirt, you need to get the right sweater. Basically, your thick sweater needs to be short, and it is usually better if it doesn’t have a band at the bottom hem. Here are some great shorter sweaters with no bands at the hem. I recommend ordering one size down in all of them. 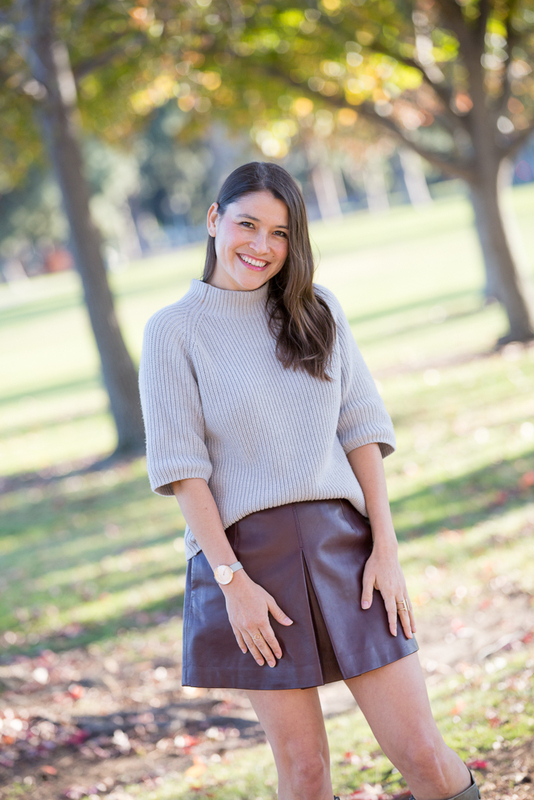 Real or faux leather skirts are the best for tucking thicker sweaters into, but any skirt that is equal weight or heavier than your sweater should work. Wool, suede, and tweed skirts also suffice. The key is to have a skirt that doesn’t show the amount of bulky fabric that you have tucked into it. Tucking all of a thick sweater into a skirt is far too bulky and looks bizarre. Most likely all of it won’t fit into your skirt. If it does, your skirt is too big for you. Instead, you are going to do a half-tuck. To accomplish the half-tuck, take about four inches or a small handful of the front of the sweater and tuck it into the front of your skirt. Don’t tuck it in tight. You don’t want it to be flat on your stomach, you want it to blouse just a bit. Then, fold under the rest of the sweater hem that is left untucked. As for the back of the sweater, let it fall as it may. The front is all you need to worry about.